Big pictures and fonts, integration of video, and a new shopping format create a pretty unique experience that is a far departure from the original, static website they've used for the last few years. It's also a responsive design, so it displays well on all formats of consumption - desktop, tablet, or smartphone. 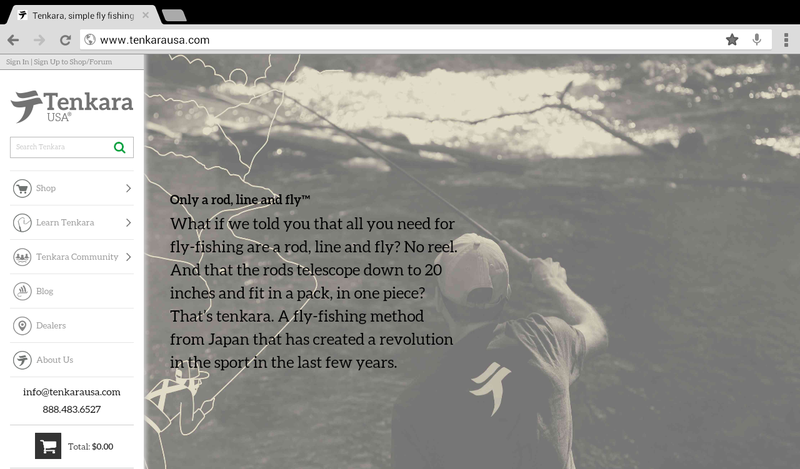 I'm all for change, and even though I'm probably biased since I love tenkara and anything online that's bold and media-rich, I think this is a positive (and overdue) update. I just saw it over on Tenkara Enso. Sorry I just hit his first. I like it.